Skilled gardeners in Whitby here to help! If you want have the best looking garden in Whitby iTrim4U team members can make that happen for you. 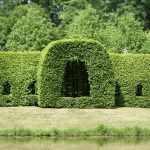 Professional gardening services make it easy to have a fantastic looking garden and yard that you don’t have to invest a lot of effort and in. Taking care of a garden involves a lot of hard work. If you don’t have the time to keep up with a garden but still want your garden to look great call us today for a free estimate. Our talented team members can work on any size garden and keep it thriving. 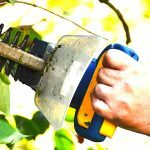 Imagine how great it would be to have a stunning garden without having to spend hours every week doing the weeding, trimming, pruning and other work required to keep that garden looking great. Our team members will even make sure that when the cold weather comes your garden is ready to go underground until spring by making sure that your plants and flowers are protected against frost, snow and the bitter cold temperatures that arrive in the winter. And when spring comes again they will get right to work making sure that your plants and flowers are ready to bloom again in the warm spring sunshine. Does a stunning garden without having to do a lot of dirty work sound too good to be true? It isn’t. You can have the garden of your dreams without the hours spent digging in the dirt and we can help. Call us today for a free estimate. Planning on taking a summer vacation or going away for an extended trip? With a professional gardening team to help you the garden won’t get overgrown or start dying off while you are gone. Our team members will regularly come by to water, weed, trim and make sure that your plants and flowers are growing the way that they should. You can enjoy your vacation or your time away with your friends and family and not worry about what type of garden you will come home to. And while you’re gone the garden will continue to look great so that no one will know you’re not at home. This will protect your home and give you peace of mind so that you can have more fun on your spring or summer vacation. Relax and let us handle the upkeep of your garden. Today’s hectic lifestyles are not really convenient for gardening. When you’re racing around to get kids to school, run errands, get to work and do other tasks you don’t really have time to spend hours working on your garden. And on weekends there are better things to do than spend your precious free time gardening. That’s why it just makes sense to hire a team of professionals to take care of that garden for you. Spend your weekends sipping coffee in the garden in the morning or enjoying some wine in the garden at night with your loved one and friends while we take care of pruning, weeding and cleaning up to make sure the garden stays healthy. When it comes to gardening there is no substitute for experience and expertise. Plants are very delicate and need the right kind of environment to thrive. 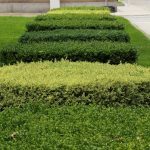 Our design experts will help you design a garden filled with pretty flowers and plants or vegetables and herbs that will grow well in this climate and be able to withstand our winter weather. We have good relationships with the best local growers and nurseries so that you will always get plants and flowers that are the highest quality. We can even get heirloom varieties of popular plants and flowers to make your garden unique. And we know how to take care of specialty flowers and plants so that they will continue to thrive in your garden year after year. Adding a garden can add up to 15% to the value of your home. 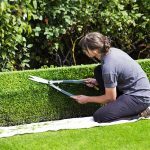 Whether you want to start getting your home ready to sell or you just want to know that your home has increased in value adding a garden is a smart way to boost the value of your home.